An oyster has a lifespan of over 100 years. The oyster has no head, no biting mouth parts and no arms or legs. An oysters two or three inches in diameter would probably be three to five years old. It takes about 25 to 28 months for oyster larvae to reach market size. Oysters feed year-round, though they feed less in winter because they need less energy. All shelled fish should be alive when you eat them raw. If they’re dead (closed), toss them back. There are over 5,000 different species of oyster world wide. 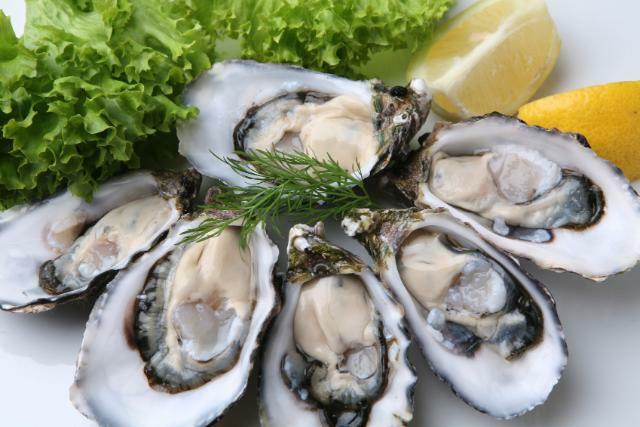 The flavor and color of oysters is influenced by the sand or sediment and the waters that they live in. 1814 John Lineback patented the cottonseed hulling machine. 1848 William Waldorf Astor was born. William Waldorf Astor was a cousin of John Jacob Astor IV, the great grandson of John Jacob Astor. He built the Waldorf section (1893) of what would become the Waldorf Astoria (1897). The Empire State Building (1929) now stands on the site of the former hotel. 1918 Daylight Savings Time went into effect in the U.S. for the first time. 1989 Chefs from Japanese restaurants in New York have finally persuaded the FDA to allow them to import and serve fogu. The first shipment of Japanese blowfish (tora fugu) arrived today. The chefs had to attend special classes to protect their customers from poisoning. 1946 G. Allan Nichol of the music group ‘The Turtles’ was born. 2005 Frank Perdue president of Perdue Farms died today. He was the son of the company’s founder Arthur Perdue. Perdue is the 3rd largest poultry company in the U.S.
LOVE the fun facts, the pictures, & the overall blog! =D LOOKS GREAT!